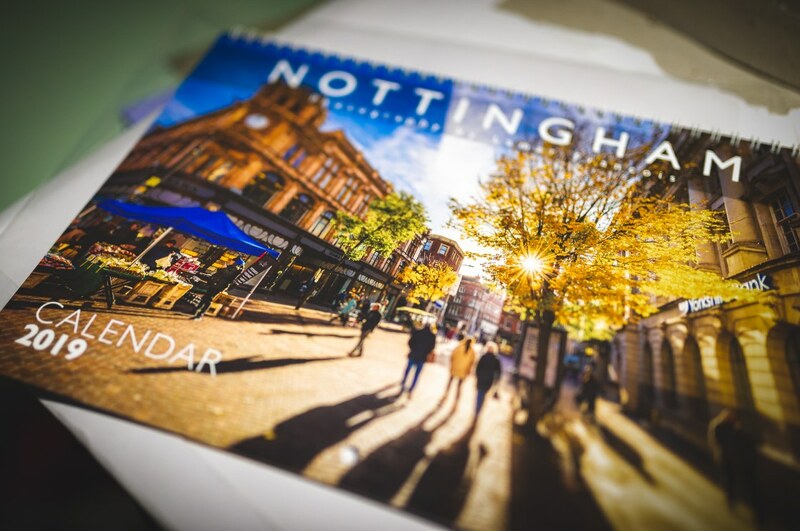 12 of my favourite takes of Nottingham over the past year – telling the story of Nottingham as a vibrant and energetic city throughout the seasons An ideal souvenir and keepsake. Highlights of the Calendar include a view of a snowy St Patrick’s Day , affected by the Beast From The East storms but with no loss of enthusiasm from a young boy .The magic of the fairground plays a part in this Calendar also l, with views of Goose Fair and the Winter Wonderland the blue hour as the fairground lights begin to make their presence felt. Preview images : Part 1 (January to June) , Part 2 (July to December). 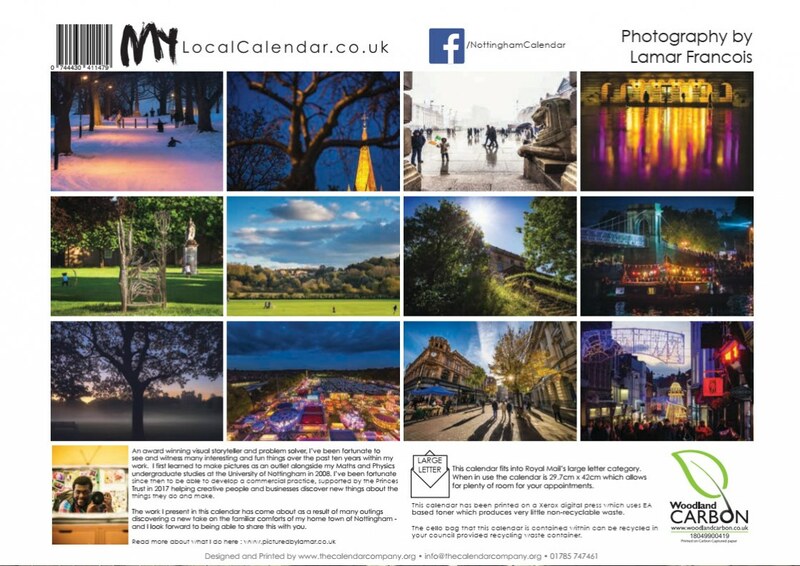 Additionally this year I’ll be donating 50p from each Calendar sold to the Double Impact Charity . For volume orders of more than 5 I’ll be able to provide a bulk discount – contact me via the form here. class="post-template-default single single-post postid-3661 single-format-standard samba_theme samba_left_nav samba_left_align samba_responsive woocommerce-no-js wpb-js-composer js-comp-ver-5.6 vc_responsive"